Ivy has all the attributes of this loyal breed. 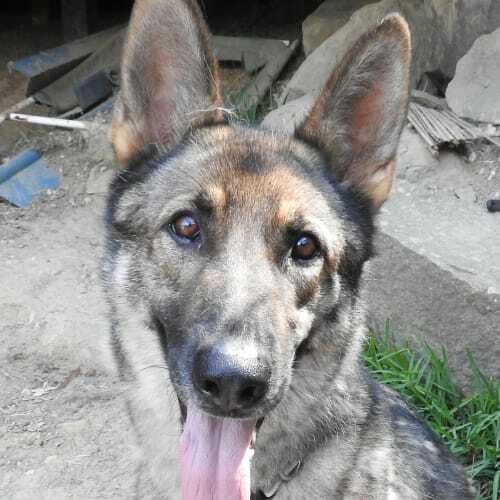 Intelligent and independent, Ivy is a four year old German Shepherd who with Arthur are urgently looking for their forever home.Ivy is currently in a foster home at Aberdare. She is learning to be social with her fur friend and will play happily with other dogs as long as knows her place in the pack.Ivy is a big boned shepherd and so we recommend a home with older children due to her size. When she was growing up she lived with cats.In excellent health and ready for her new home Ivy is house trained and is good to walk on a lead we can see Ivy being a wonderful companion dog for a Shepherd Lover.If you think you can give Ivy and Arthur a new home, please contact us by clicking on the link in the screen “enquire for this pet”. Arthur has all the attributes of this loyal breed. 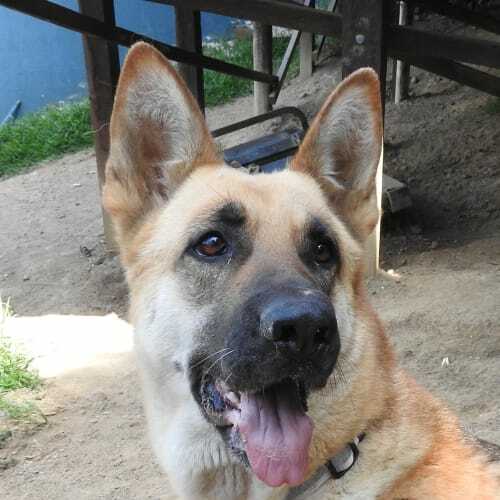 Intelligent and independent, Arthur is a four year old German Shepherd who, with Ivy, are urgently looking for their forever home.Arthur is currently in a foster home at Aberdare and is living with Ivy, another German Shepherd. He is learning to be social with his fur friend and will play happily with other dogs as long as knows his place in the pack.Arthur is a big boned shepherd and so we recommend a home with older children due to his size. When he was growing up he lived with cats.In excellent health and ready for his new home Arthur is house trained and is good to walk on a lead we can see Arthur being a wonderful companion dog for a Shepherd Lover.If you think you can give Arthur and Ivy a new home, please contact us by clicking on the link in the screen “enquire for this pet”. Scarlett and Jess are 12 year old sisters who have sadly found themselves looking for a new family. Scarlett and Jess have spent 12 years together and are the very best of friends! For this reason, they need to go to a home together.These old girls don't need much! They just want a comfy bed, to be part of a family and a family with no other pets. Being in their golden years, they have both taken a dislike to other dogs - they just want to hang with each other! The girls are overweight and old, so short slow walks are all they want. Scarlett and Jess are wonderful with kids - they are completing unphased by children and happy playing nanny.These old girls are so well behaved and would suit a home who are looking for a low maintenance dog. Staffies like Scarlett and Jess don't come round often and staffies don't get any easier than Scarlett and Jess! 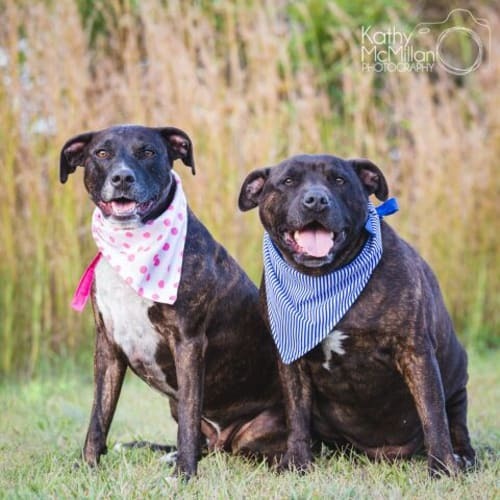 Brandy and JD are ready to find their forever family. 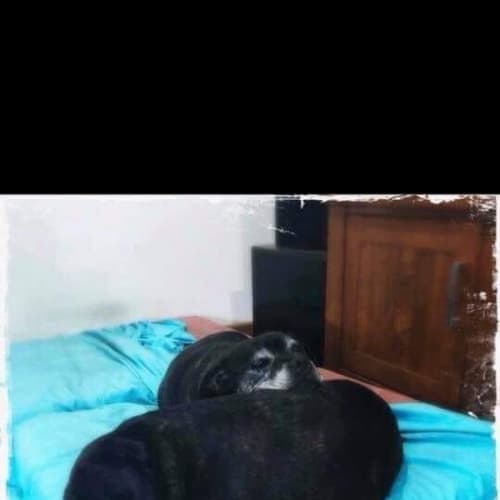 Both 8yrs old this bonded pair are full of love and cheeky quirks.They are house trained and have lived their whole lives together so can not be seperated. Brandy is sweet and a little nervous of strangers but once she knows you shes such a sweet loyal little girl.JD is more chilled out and happy to say hi to anyone.Both love going for walks are great in the car so adventures with their new family would be easy.Brandy isn't a huge fan of children and would rather avoid so a home with no children is best.They are requiring a home where they are indoors and part of everyday life with their family. 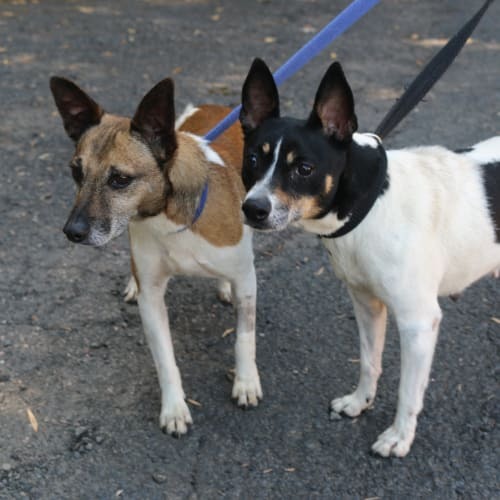 Meet Shilo and Rocky, the lovable duo who are looking for a home together. 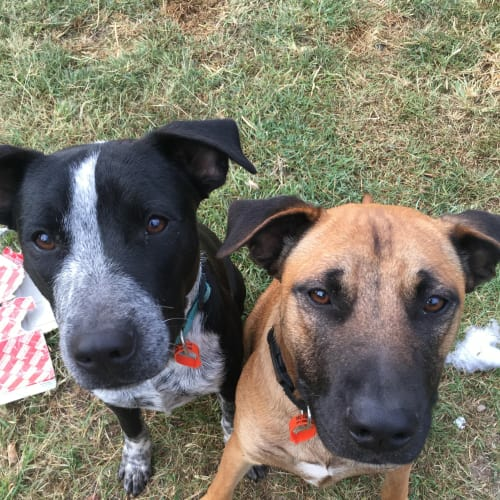 Shilo is a 10yo female Labrador x Ridgeback and Rocky is a 7yo male Ridgeback x Staffy.Both dogs have absolutely beautiful natures. They are very affectionate and love the company of their people. Both Shilo and Rocky are good with kids, although Shiloh does sometimes like to have her space. They are both good while you’re away at work, happily snoozing away in the sunshine until you come home.Shilo can be a little nervous around strangers to start with, but warms up to them fairly quickly. She just loves her cuddles and walks. She is lovely on the lead but does pull a little when she sees another dog, because she just wants to play. 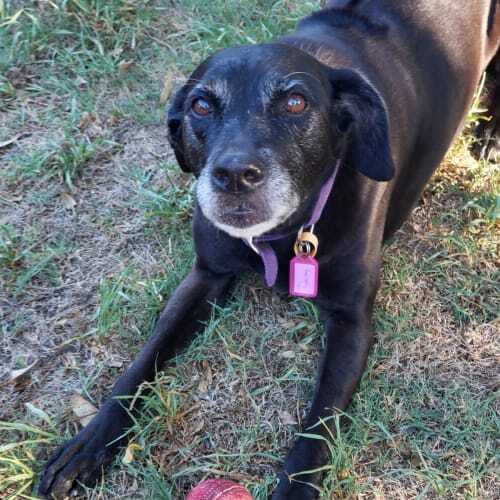 Despite being 10, she is still quite the puppy, bouncing around and playing with Rocky.Rocky is also a bit nervous around strangers, particularly men, but once you gain his trust, be prepared to be begged for belly rubs. He does like to be around his people, and has been known to look for them when they go to work, so he needs a home with secure fencing. Rocky does tend to pull on the lead a little, but is learning not to and is improving every day. He very eager to please his people (even the short legged kind! 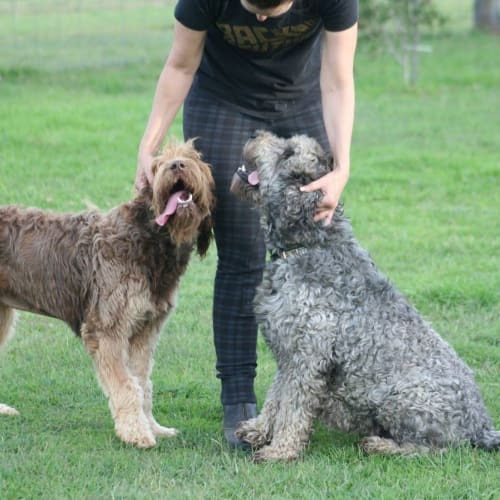 ), and just loves to play.If you are looking for the perfect family dogs, look no further than Shilo and Rocky. All you have to do is email us today to apply. 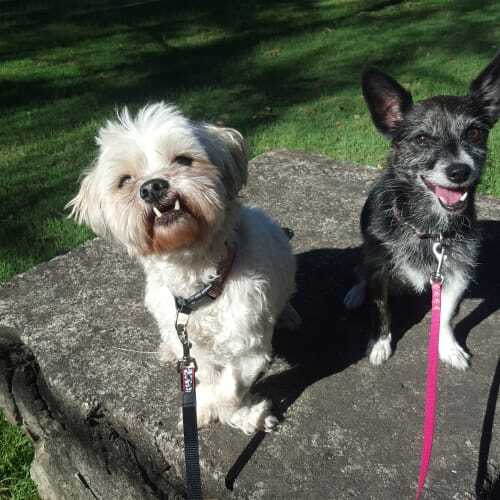 Please meet Prince and Missy - a perfect little couple who are looking forward to finding their forever home together. Prince is a Mini Foxie x born on 1st January, 2012 and Missy is a Mini Foxie x Jack Russel, born on 1st January, 2009.These two cuties are a bonded pair and must be rehomed together. 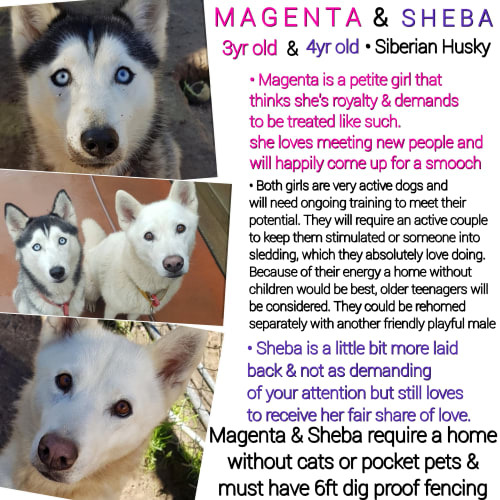 Their perfect home will have secure fencing as when startled they can jump!Both are absolute sweethearts who have not had a great life so far and are looking for a happy ever after where there will be patience and understanding while they settle into a normal family life.They are beginning to enjoy going for a walk and have super nice lead manners and neither show any sign of food aggression. Missy is a little more outgoing than Prince and she loves to play and jump into your arms. 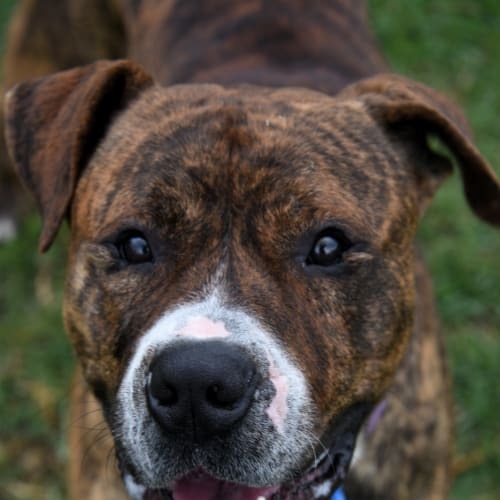 Prince, being a little more shy, becomes very affectionate once he knows you and will show you all the love you could ever want.Both Missy and Prince are great with other dogs their size, but are a little fearful of bigger dogs. To help with their continued socialisation, we have included 3 x free training lessons each in their adoption fee with thanks to Wyong Dog Training.Both are startled by loud noises and will need to be allowed inside during thunderstorms and fireworks where they know they are safe.Prince and Missy are absolute delights and once they know you are a joy to be around. They will make awesome companions for the right family. 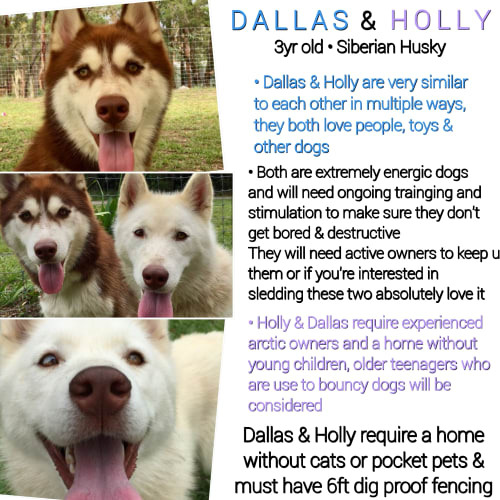 they would love to be in a home where they are included as members of the family and involved in the day to day activities. Prince and Missy will thrive in an environment that guides them with positive direction and lots of love and attention.Their adoption fee is $850 and includes desexing, vaccinations, dentals and lifetime registration. They is also regularly treated for flea and worms.To enquire more or to meet Prince and Missy, please drop in to the facility or call 02 43044350 or email gosfordpound@gmail.com and speak to one of our friendly staff.Prince and Missy are looking forward to meeting you.